I wrote the following lightly edited article for VisionAware.org. (B&VI stands for blind & visually impaired). Editor’s Note: The week of March 11 was World Glaucoma Week. Peer advisor Steph McCoy, Founder, and CEO of Bold Blind Beauty, has written eloquently about her journey with this eye condition. As a real fashionista, in this post, she shares her thoughts on fashion trends, an important topic as Spring approaches. The truth is, there are people with sight who either aren’t interested in or have a lack of fashion sense. Also true, there are people who are blind or have sight loss, and they love fashion. Today, there are many blind and visually impaired fashion content creators with plenty of room for more. With this in mind, here are few tips to help a person who is blind or visually impaired remain connected to fashion. As blind and visually impaired people, we face our share of barriers. We are not what’s happened to us, and we have the power of choice. Thankfully, we can choose how to move forward with our lives and allow fashion trends to play a role. 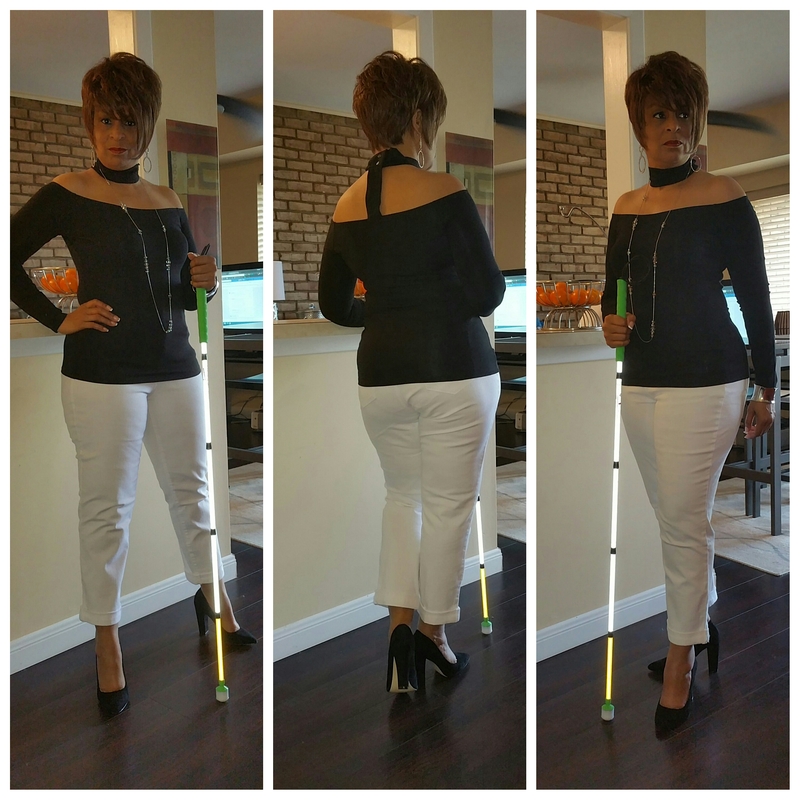 Tri collage of “yours truly” posing in front of my counter with my white cane wearing a black off the shoulder choker top, white jeans, black suede chunky high heels and silver jewelry. Hey this was very well written! I really enjoyed this <3 please check out my blogs as well! you’re as chic as ever!